Est. 400 calories Group 22 Created with Sketch. In this quick stir-fry, thinly sliced beef and sautéed bok choy are served over light, fluffy cauliflower rice, which takes just a few minutes in the pan to turn deliciously tender. 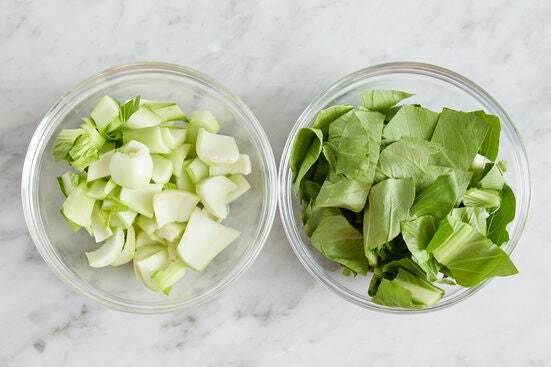 Wash and dry the bok choy. Cut off and discard the root end; roughly chop, separating the stems and leaves. Pat the beef dry with paper towels; season with salt and pepper. 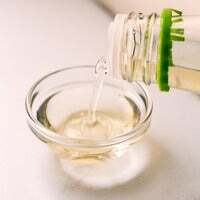 In a medium pan (nonstick, if you have one), heat 2 teaspoons of olive oil on medium-high until hot. 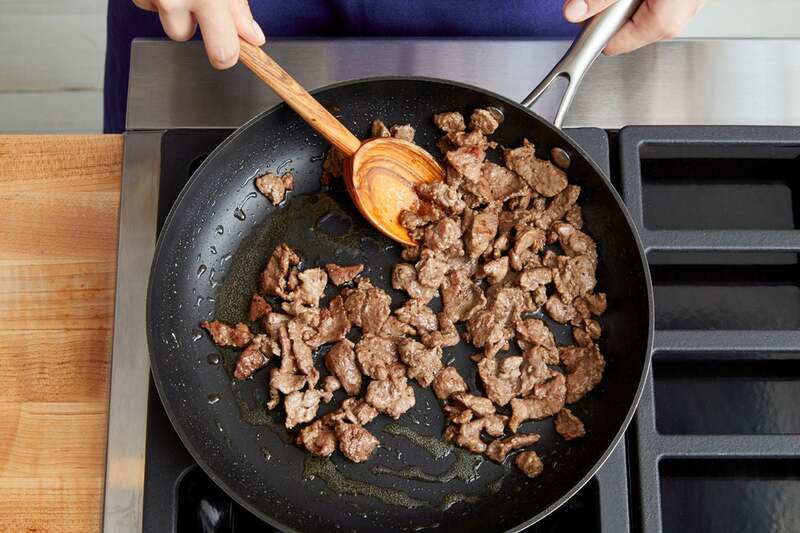 Add the seasoned beef in an even layer and cook, without stirring, 2 to 3 minutes, or until lightly browned. 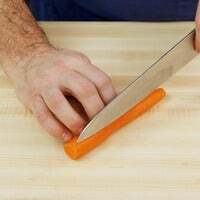 Continue to cook, stirring occasionally, 1 to 2 minutes, or until browned and just cooked through. Leaving any browned bits (or fond) in the pan, transfer to a plate. Add the chopped bok choy stems to the pan of reserved fond (if the pan seems dry, add a drizzle of olive oil). Season with salt and pepper. Cook on medium-high, stirring occasionally, 2 to 3 minutes, or until slightly softened. Add the broth (carefully, as the liquid may splatter), vinegar, and coconut aminos. 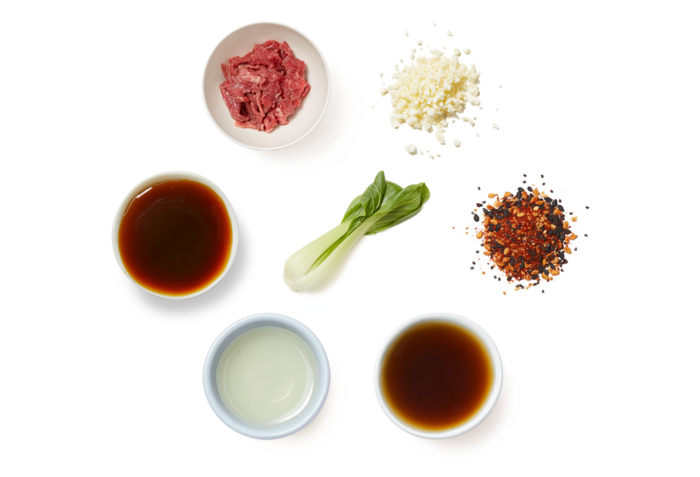 Increase the heat to high and cook, stirring occasionally, 4 to 5 minutes, or until the bok choy is tender and the liquid is reduced in volume. 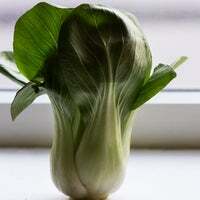 While the bok choy stems cook, in a medium saucepan, heat a drizzle of olive oil on medium-high until hot. 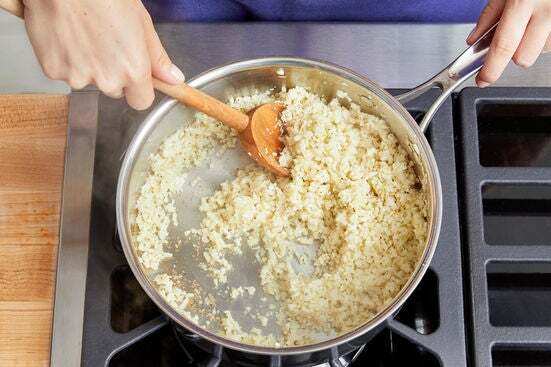 Add the cauliflower rice; season with salt and pepper. Cook, stirring occasionally, 2 to 3 minutes, or until softened. Turn off the heat. 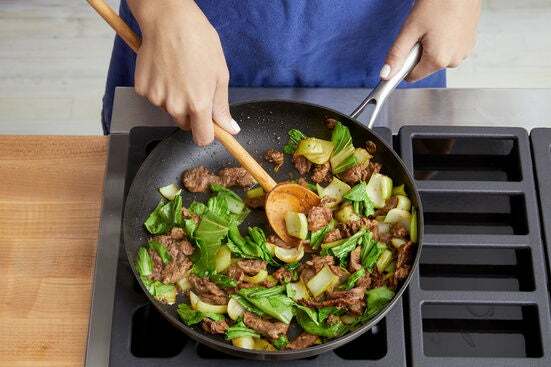 Add the cooked beef and chopped bok choy leaves to the pan of bok choy stems. 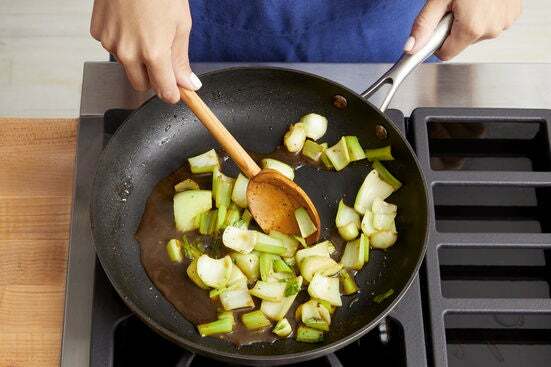 Cook, stirring frequently, 1 to 2 minutes, or until the leaves are wilted and the liquid is thickened. 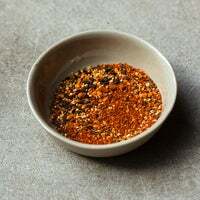 Turn off the heat and season with salt and pepper to taste. 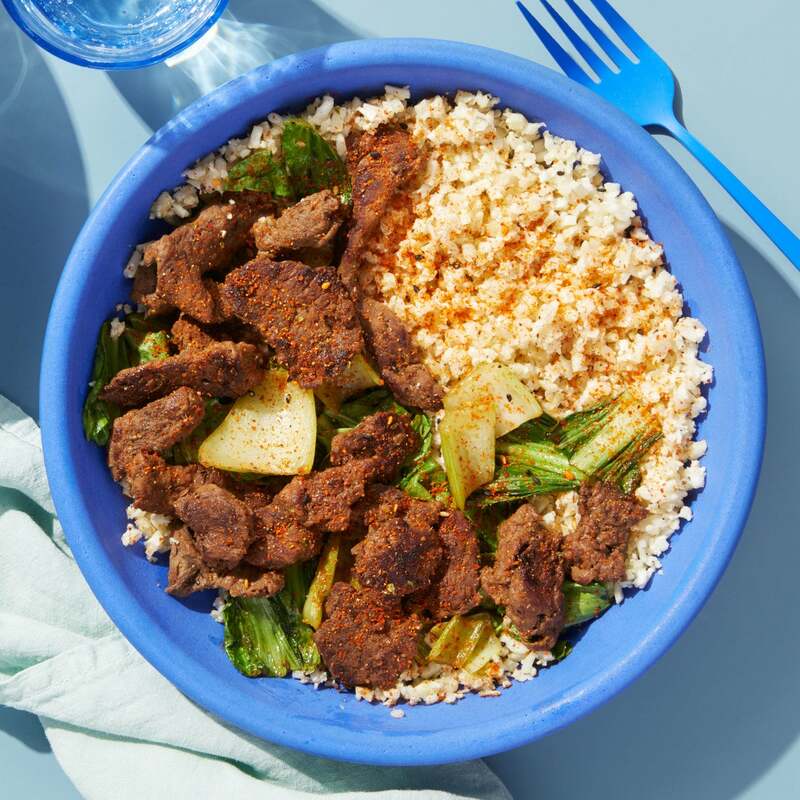 Serve the cooked cauliflower rice topped with the cooked beef and bok choy. Garnish with the togarashi seasoning. Enjoy!